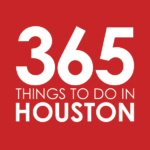 In our series of Must Do Things Around Greater Houston, we take look at Houston’s vast array of neighborhoods to bring you five fun, tasty, and enticing reasons you should give each a visit. Originally published in 2016, we are now refreshing, updating, and adding to this series, including new neighborhoods and destinations. This campus edition takes a closer look at the city’s hottest colleges and universities. Founded in 1927, the University of Houston is the third largest university in the state, with nearly 43,000 students, 280 degree programs, and 12 academic colleges. From exhilarating collegiate sports (go, Coogs!) to emerging arts and drama, there are plenty of reasons to check out this campus. Hit the Food Trucks – A rotating selection of Houston’s hottest food trucks park themselves on several pads around campus, with daytime and late-night hours. Look out for popular mobile eateries like hot dog slinger YoYo’s Hot Dogs, Japanese fusion spot Muiishi Makirritos, and old-fashioned burger and po’boy purveyor Miss Paddy’s Wagon. Experience the arts – Start with the Blaffer Art Museum, which prides itself on being a catalyst for creative innovation and experimentation. There, you’ll find around six to eight visual and contemporary art exhibitions each year. Admission is free (so is tea in the lounge) and hours are Tuesday through Saturday from 10am to 5pm. Those looking to explore a particular exhibition can sign up for a docent-led tour (available at particular times during the year or for groups). The Cynthia Woods Mitchell Center for the Arts, a collaboration across the performing, visual and literary arts, hosts annual lectures and puts on the yearly CounterCurrent Festival, a bold audio and visual festival that takes place in unexpected sites across the city. Don’t miss performances at the Cullen Performance Hall, which hosts a lineup of music, opera, dance, and theatrical events; or the Moores Opera Center, which features musical entertainment that ranges from opera productions to jazz ensembles. Lynn Eusan Park also hosts occasional festivals and film screenings. Perk up at The Nook Cafe – Need a morning, noon or midnight pick-me-up? Look no further than Nook Cafe. With hours from 7am to midnight on weekdays and 8am to midnight on Saturdays and Sundays, this Cougar Den Plaza coffee shop serves up coffee, lattes and espresso (try the Cougar blend), beer and wine, freshly-squeezed juices, and pastries and cakes. Click here for directions. Chill out on the rooftop – After a long, hard day, there’s nothing like sipping a cold one at a rooftop bar. Calhoun’s has become that haven for the University of Houston community. The full-service sports bar boasts 7,000 square feet of industrial metals and reclaimed wood, with a rooftop view of the UH Campus and Downtown skyline. Get pub grub like a 3-cheese stuffed burger loaded with smoked bacon, beer-battered pickle chips, and mango habanero hot wings to go along with frosty brews. Hours are Monday through Saturday 11am to 2am. Click here for directions. Cheer on the Coogs – With 17 intercollegiate teams in the American Athletic Conference and 30+ titles in the past 10 years, there’s a reason fans fill the seats at Cougars sporting events. 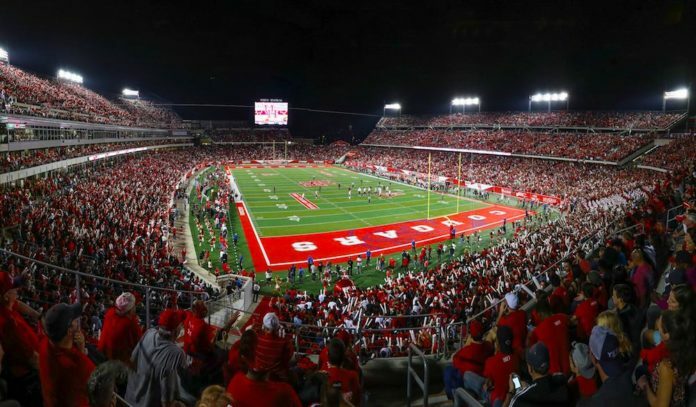 Enjoy a game at TDECU Stadium, the 40,000-seat, open-stadium that plays home to the UH Cougar’s football and women’s soccer teams. At the Fertitta Center (set to open in November of 2018), fans can cheer on the UH men’s and women’s basketball teams (and volleyball starting in 2019). And at the spacious Darryl & Lori Schroeder Park, there is seating for 3,500 baseball fans.